Your level of intelligence might seem like the most important aspect when looking for work or furthering your career. However, ‘smart’ people do not automatically make good employees. Emotional intelligence, also known EI, is now seen as an essential quality in outstanding employees. 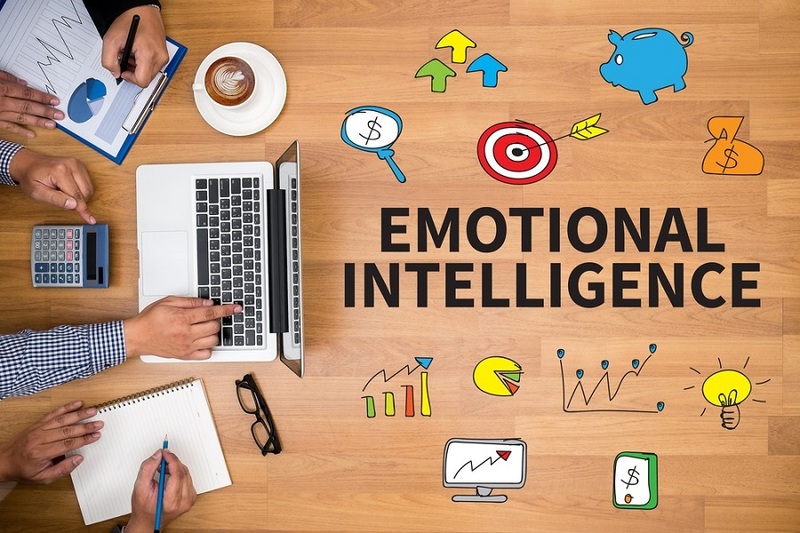 In fact, many companies are using EQ as a more important and accurate indicator of a person’s future performance in the workplace than intelligence. Be Self-aware: Those who are self-aware in the workplace can identify their strengths and weaknesses and are also able to handle constructive criticism. This means they understand that they can build on their weaknesses and work hard at improving them without giving up easily. Self-regulate their emotions: Children are taught from a young age to express their emotions in an appropriate manner, by avoiding tantrums or hurting others. Adults who can self-regulate do not hold in their emotions or thoughts but express them in a healthy way. At work, professionals with ability to self-regulating their emotions will adapt well in the face of change and are open to new ideas. Motivate themselves and others: Emotionally intelligent people can self-motivate. They can use self-talk and visualise the end goal to motivate themselves to reach the goal they desire. They also know how to motivate their colleague when things are getting tricky or energy levels are running low. Empathise: The ability to empathise is sought after in the workplace as there will be times when an employee will need to be compassionate and understanding towards other team members and clients. Those who genuinely care for others will provide better customer service and build better relationships between employees, driving further employee engagement and customer satisfaction. Communicate well: Those with high EQ understand the importance of communicating effectively with others and can often be described as a ‘people person’. This allows employees to easily build trust within their teams and a good rapport with each other and with clients. Communications skill is the core factor in conflict management, team management and leadership. How Can You Build Emotional Intelligence for Yourself or Within Your Workplace? Emotional intelligence does not come naturally to everyone and it is a set of skills that needs to be nurtured and developed over time. Emotional intelligence development should start with paying attention to your behaviour and observe your feelings. It is crucial to remind yourself that workplace requires professionalism so that you can be aware of your responses, not reactions, towards difficult situations and uncomfortable emotions. Like other skills, practice is the key to success. You can start by practising understanding, responding and empathising with your colleague, managers and clients. Another key point is to create a positive environment to not only improve your quality of life and work but also encourage people around you. As a short guide to start making emotions work for you, NotedCareers provides an excellent 2-hour seminar for professionals, job seekers, students and graduates on EQ and attitudes in the workplace and during your job search venture. If you are looking to explore a new career path or you are a professional who is looking to move up in your career, NotedCareers in Melbourne offers complete packages to help you find your dream job. Find and land that dream job! – contact us today.